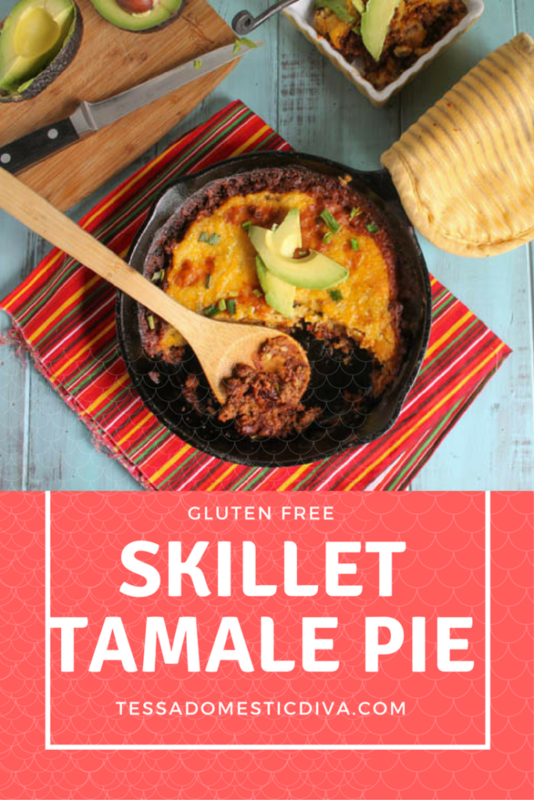 A gluten free tamale pie with classic chewy masa topping, all made in one skillet for a family pleasing meal!! 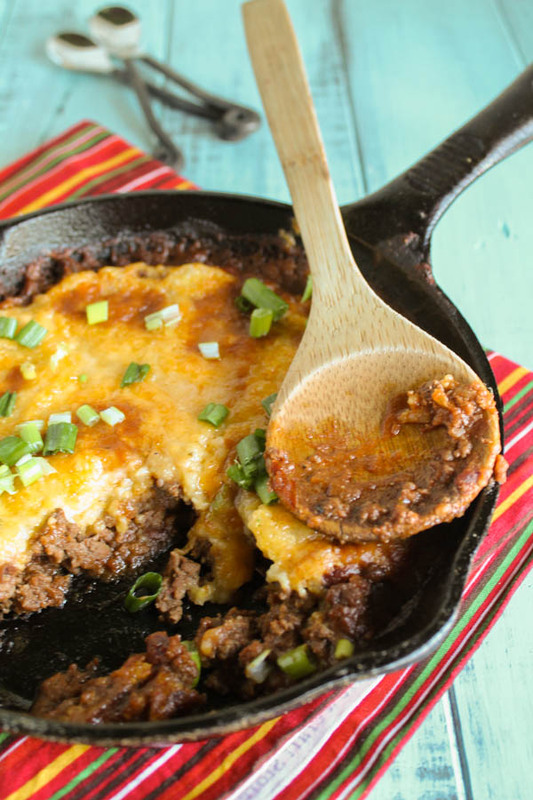 Long before our kids came into the picture, I found a recipe in a magazine for a tamale skillet pie. It was instantly a husband favorite. And what is not to love? All the great flavors of a tamale…..in a fraction of the time. Somehow, the original recipe disappeared…and I tried modifying recipe after recipe to recreate this favorite dish. Problem was, the cornbread topping always left me feeling ho-hum about the end product. I was looking for a texture more similar to the tamale masa…not bread. And then I had a EUREKA! moment. Tamales are traditionally nothing like cornbread, what about going in for a chewy tamale topping instead? And FINALLY! A dish everyone loved and that we have eaten multiple times now! This is a family friendly meal that goes together easily. Enjoy! 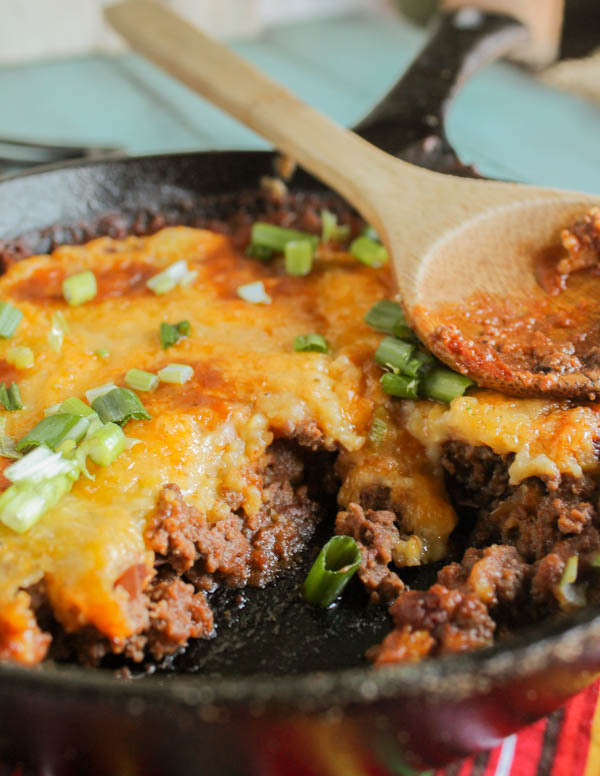 Can You Make a Paleo Tamale Pie? If you wanted to go the cornbread topping route, this Paleo cornbread is a great recipe!! If you wanted to try a low-carb tamale mixture, this recipe looks super interesting and I will be trying it soon on MY portion of this family favorite! 2 teaspoons chili powder ( I use a flavorful yet mild chili powder called FIESTA found in bulk foods sections. It is great for making your own taco seasoning with the below seasonings too! 1 cup favorite salsa I use Trader Joes brand as it is mild for the kids, but still flavorful. 1 1/2 cup cooked beans I use my homemade beans, or about one can drained. I prefer pinto beans. In a medium saucepan, whisk together the cornmeal or millet meal with the broth. Bring the mixture to a simmer over medium low, and continue simmering and stirring until thick, about 10 minutes. Stir in the cheese, butter, and sea salt, set aside. In an oven safe saute pan (I use my beloved cast iron skillet), brown the ground meat along with the spices. Stir in the salsa and beans. Taste, and adjust seasonings if necessary. Pour the cornmeal over the top, dispersing evenly. Place in the preheated oven and bake for 20-25 minutes until the topping has crisped up a bit! i made this last night – sooo easy and we all loved it! Thanks Tessa. It is very family friendly Holly, thanks for letting me know! I’ve never rated or left a comment about a recipe before; but, this pie turned out so delicious I decided now was the time! Keep up the great cooking! Awesome Jill! Glad you liked it! We’re big Mexican fans here so I know we’re going to like this! Thanks for sharing it with us at Foodie Fridays! 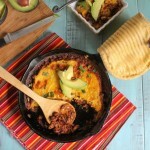 I just love a Tamale Pie, this looks great! 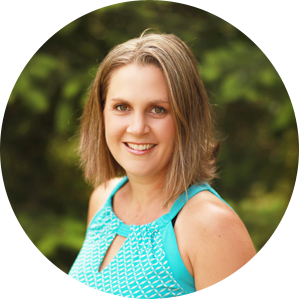 Thanks so much for sharing your awesome post with Full Plate Thursday and have a fabulous day! Delicious pie, thanks for sharing with Hearth and Soul blog hop. pinning. I wonder if this would work with masa instead of cornmeal. I’m going to pin this, try it, and get back to you. Thanks for the recipe! Hi Heather! masa harina should work, it will be smoother and provide less texture in the topping though! It looks truly delicious!! I found you at Gluten Free Fridays! Sounds delicious! Thanks for sharing on Real Food Fridays. Twitted & pinned. Wow! I love Mexican food! This pie looks terrific! Looks delicious! Question: What comes after step 6? Does it then go directly into the oven…and for how long? Thanks for catching that Julie…mommy brain lives in me!! All fixed! This looks so good!!!! Perfect for a crisp Fall day. Going to make this tonight with substituting the ground beef for ground turkey. Great Phyllis, let me know!